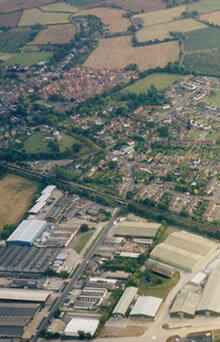 With a population of about 4,000 people, Marden is the 2nd largest Parish in Kent in terms of acreage. Located just off the A229 approximately 8 miles south of Maidstone, the County Town, it stretches from Chainhurst in the North, Stilebridge in the North East and beyond Marden Beech and Marden Thorn to the South. These settlements have interesting histories of their own while relying to a lesser or greater extent on the main settlement in Marden. Situated in the floodplain of the River Beult and blessed with a good climate and rich agricultural land, albeit heavy clay, farming has always been important to the village and contributed to its growth and prosperity. This growth can be seen both in successive maps of the area as well as by tracing the development of buildings in the village. A Church was established in the 11th Century, indicating that Marden was a significant settlement even then. The opening of the Turnpike Road in the mid 18th Century and later the railway, in the mid 19th Century, had great impacts on opening up the village to outsiders and to trade. 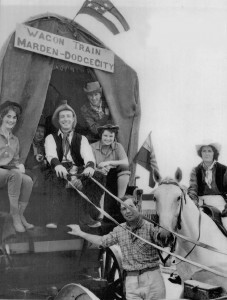 Today Marden is still a farming community and retains its rural heritage, though some of its residents now use the railway as commuters to London. There is also a thriving industrial estate centred on Pattenden Lane which houses a number of successful local enterprises as well as being the base of the Kent Air Ambulance: which is a cause great pride for the people of Marden. We are able to look back at the everyday life of Marden in the past. We can look at two of the businesses which thrived here: the sawmill and the forges. The growing, harvesting and drying of hops was once a very significant part of the farming calendar and of village life in general, so we look at that in some detail. Fruit growing was and still is important to Marden and it was here that the National Fruit Show was instigated.